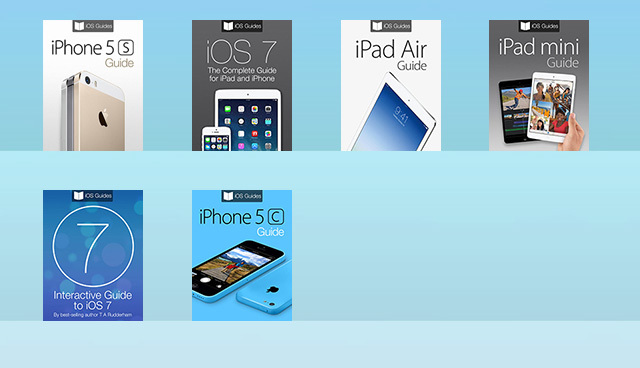 All iOS Guides eBooks 25% off over the festive period! 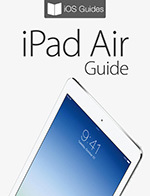 Happy holidays from the iOS Guides team! As a special present to all our visitors, every single one of our eBooks has been reduced by 25% over the festive period. 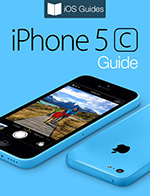 That means you can grab yourself a dedicated guide that’s packed with in-depth tutorials and knowledge for less than a coffee and cookie. 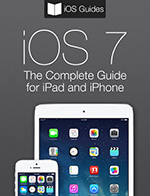 iOS Guides eBooks are the perfect way to learn how to use your new device. 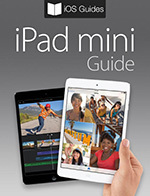 Whether that’s an iPad Air, iPad Mini or iPhone, you’ll find a dedicated book that’s packed with tuition and high-resolution color images. 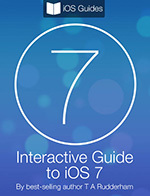 iOS Guides also provides the most in-depth guide to iOS 7, with a brief history behind the new operating system, comparisons with iOS 6 and dozens of tutorials that reveal how the updated apps and settings work.